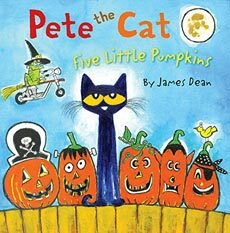 Pete the Cat joins some pumpkins for this simple book based around the popular Halloween chant "Five Little Pumpkins." (Five little pumpkins sitting on a gate. / The first one said, "Oh, my it's getting late. " / The second one said, "There are witches in the air." / The third one said, "But we don't care. "etc) That's really the whole storyline. Truthfully, we don't love this book. 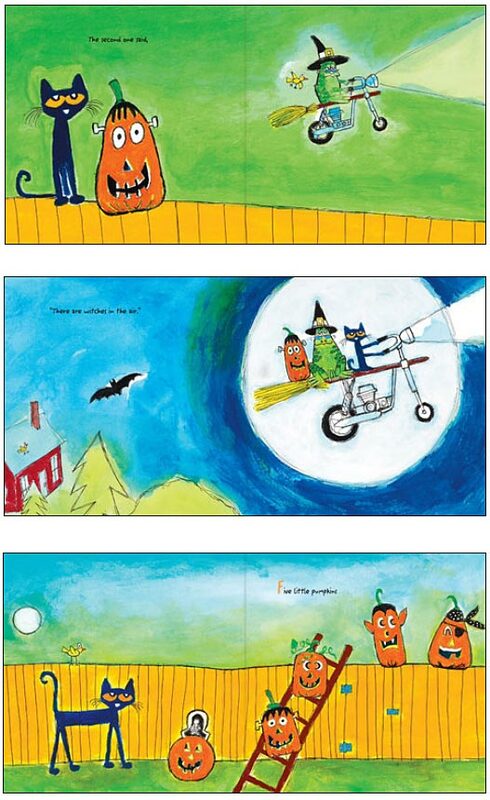 We don't use it in our own classrooms at Halloween time because there's really just not much to it. However, we are including this book on our list because some readers wrote in to recommend it, but...we don't necessarily recommend this book ourselves. There's not much meat to it! Pete doesn't seem to feature into the story line much at all. 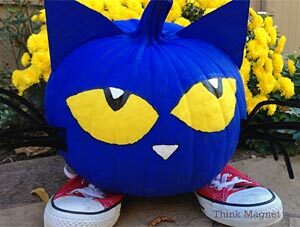 Fans of Pete the Cat books might find this one disappointing! Below are sample pages from inside this book. Despite the plot not being too exciting, we still enjoyed this book simply because we LOVE this illustrator's style! If you have an extra pumpkin and some blue paint... this is an adorable classroom Halloween decoration! This website here explains how to make it. We are really tempted. :) Wouldn't kids absolutely love to do this! A blue pumpkin would blow their minds, and then...to make it look like Pete! So adorable. 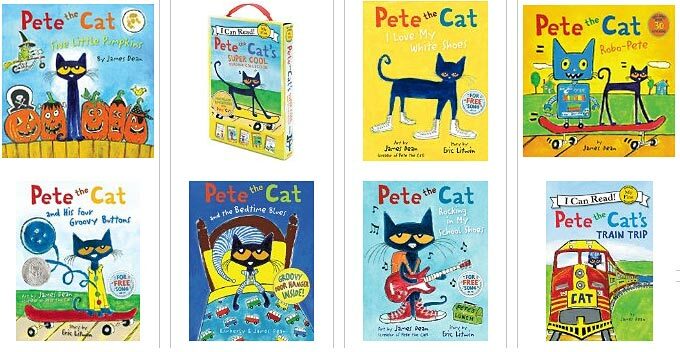 If you don't already know about the Pete the Cat series, you need to check out these funny books. Kids LOVE Pete...and you will too. :) Some of them are shown below. To learn more, click on the book covers below or the link above.